In an announcement ahead of PAX East in Boston next week, indie publisher Square Enix Collective have partnered with developer Cardboard Utopia to publish the tactical deck and dice based RPG, Children of Zodiarcs. If you’re searching for indies, have a gander at our top PC indie games. The partnership is a match made in heaven, with Children of Zodiarcs being heavily inspired by several of the tactical RPGs that Square created during the era of the original PlayStation. Combining grid based combat, deck building and even dice crafting, Children of Zodiarcs is the perfect game for lovers of tabletop and tactical RPGs. 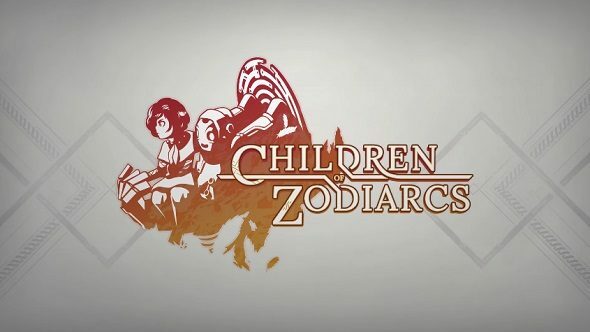 Children of Zodiarcs follows a group of plucky young thieves who, after a failed heist in the pursuit of an ancient relic, must fight off cannibals, corrupt guards and rival gangs in their attempt to topple the system that is keeping them down. Following their successful Kickstarter in early 2016 which raised five times its original goal, Children of Zodiarcs is now set to launch later in 2017, thanks to the help of Square Enix Collective. “What we’re creating at Cardboard Utopia is a game crafted with love and care to recapture the spirit of the Tactical RPGs of our youth; the same kind of games Square Enix has been publishing for decades”, said Jason Kim, Creative Director at Cardboard Utopia. “For us, we could not have found a more fitting partner than Square Enix Collective to help us bring Children of Zodiarcs to market”. “The addition of the wonderful Children of Zodiarcs to Square Enix Collective is a huge boost to our campaign of delivering a fantastic line-up of varied and quality titles to gamers through 2017 and beyond”, said Phil Elliott, Director of Community & Indie Development at Square Enix London. “We’re proud the highly experienced team from Cardboard Utopia chose to partner with Square Enix Collective”. For those attending PAX East in Boston, you can play through a brand new level of Children of Zodiarcs with a brand new hero. If this mix of classic tactical RPG combat and deck-building has you intrigued, keep checking on the Children of Zodiarcs Steam page for all the latest information.